Cat Teaser Wand with 4 Refill cat Toy attachments in a convenient storage tube. 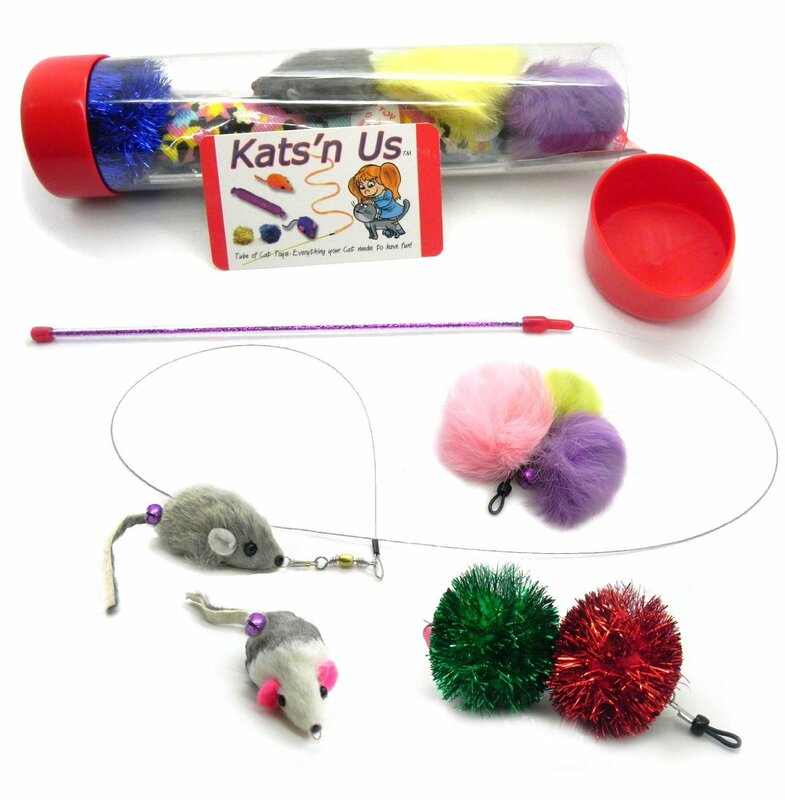 Real rabbit fur mice, pom pom balls and a tuff kitty Puff® sparkle balls. The colorful teaser wand is 12 inches long with 36" wire fishing line attached. Great interactive cat toy for cats and kittens. Supervised play is recommended. Cat Teaser Wand with 4 Refill Cat Toy Options. Real rabbit fur mouse cat toy with a leather tail. Mouse body about 2 inches long. 3 times the size of the Go Cat Mouse refill! Real rabbit fur mouse white and gray color teaser wand attachment. Mouse body 1.5 inches long. Tuff Kitty Puff® sparkle ball in assorted colors cat wand attachment. Rabbit fur pom poms in assorted colors teaser wand attachment.